The world première of Des McAnuff and The Flaming Lips’Yoshimi Battles the Pink Robots will be at U.C. 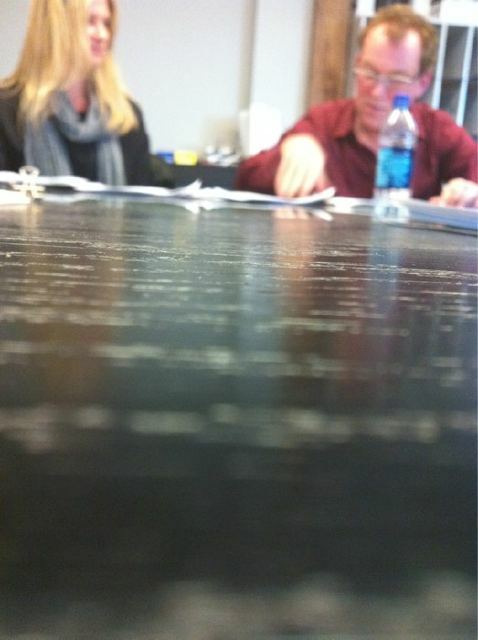 San Diego’s La Jolla Playhouse on November 6, 2012, as first reported by The Future Heart this past March. Throughout the summer ticket purchase information and full cast updates were revealed – check here for details. Yoshimi Battles the Pink Robots will be a major multimedia work complete with a live rock band, light projections, dancing, aerial choreography and hi-tech puppetry. Additional news is coming soon! 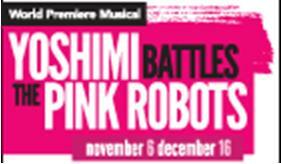 Yoshimi was added to La Jolla Playhouse’s 2012/2013 season yesterday at lajollaplayhouse.org – along with a promo image (shown left) that reveals the première runs until December 16th. Casting is set to begin soon in San Diego, Los Angeles and New York. Writer/ director Des McAnuff told The LA Times, “Wayne and I continue to fine tune the libretto and score for the musical which will go into rehearsal in La Jolla in the middle of September.” Individual Yoshimi show tickets will become available at around that time with less expensive ticket options following in autumn. As of now tickets can be purchased through the “6 Play Subscription Series” – which also includes tickets to five other plays: new American musical, Hands on a Hardbody; critically acclaimed drama, Blood and Gifts; Page to Stage musical, The Nightingale; Pulitzer Prize-winning play, Glengarry Glen Ross; and re-imagined classic An Iliad. UPDATE Click the above photo of the Kimiko Glenn (the actress playing Yoshimi) for more on the cast and characters. Though it was suspicious why Wayne’s tweets about the musical were being deleted, after years of sketchy rumors and reports it finally seemed a Yohsimi musical was a near-future reality. The official announcement credits “multiple Tony Award-winning director Des McAnuff” with a “poignant, humanistic story…inspired by the whimsical and psychedelic music of Wayne Coyne and The Flaming Lips.” In other words, Des wrote and directed a musical based on the Lips’ songs. 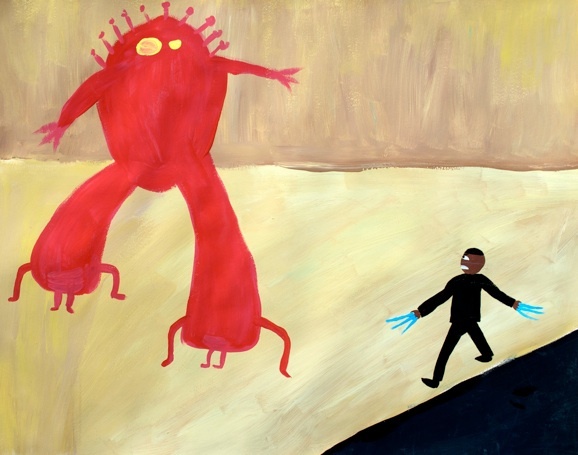 Until more details are revealed we’ll have to settle for Jayson Musson’s Barack Obama Battles the Pink Robots. Next Live Photo Blogging from Head Count Bridge Session: Bob Weir, The National, Yellowbirds, Walkmen more..